Review of Yan'an Zaoyuan Hotel in Shaanxi, China. 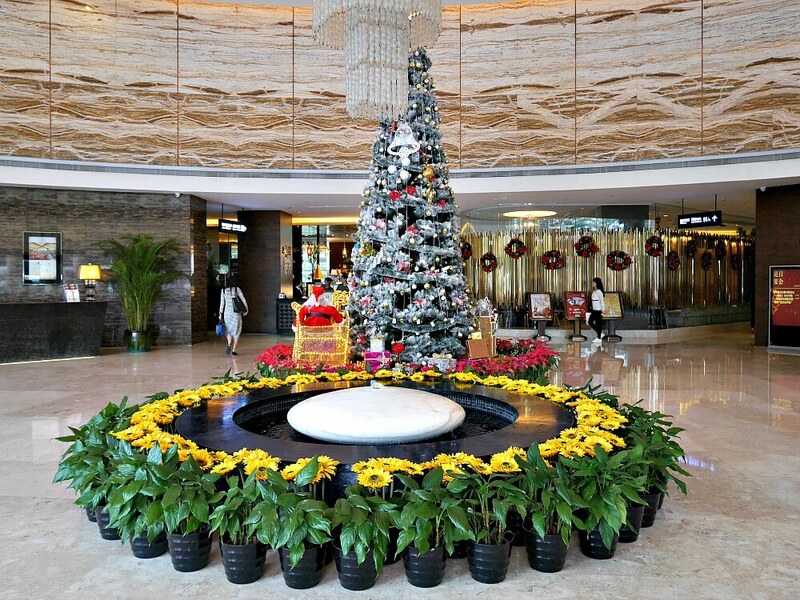 The Yan’an Zaoyuan Hotel, Fengqing Street (the middle section of Zaoyuan Road), Yan’an City, is located in northern Shaanxi province — in what China considers its heartland. The city is a road junction for northeast Shaanxi, and has been a strategic town throughout history. It’s located near the climate border between the part of Shaanxi where agriculture is practicable, and the arid lands to the north that merge into the Ordos Plateau. Yan’an, a prefecture-level city, is very near the end of the storied Long March of the Chinese Communists in 1934 and 1935, and became the center of the revolution from late 1935 to early 1947. It’s also quite close to Mount Qiao, site of the mausoleum for the legendary Yellow Emperor (who reigned from about 2698 to 2598 BCE), considered the ancestor of Chinese people and the symbol of Chinese civilization. 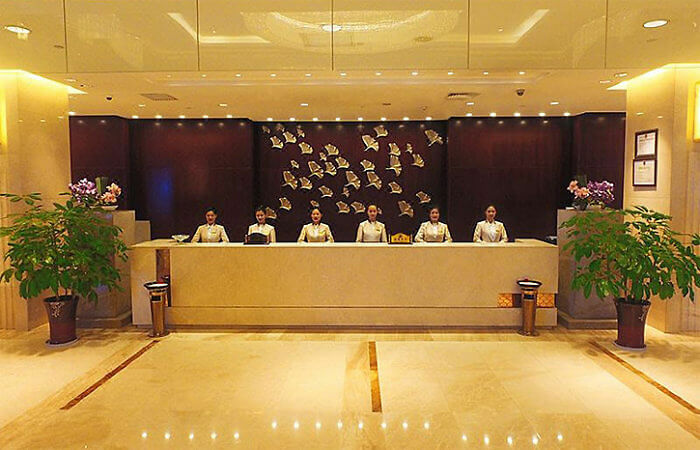 Although few overseas tourists are among the thousands of Chinese visitors to this city of 2 million, the Zaoyuan Hotel — rated at four stars — is definitely up to Western standards. There’s an indoor swimming pool, workout area, spa, and sauna. 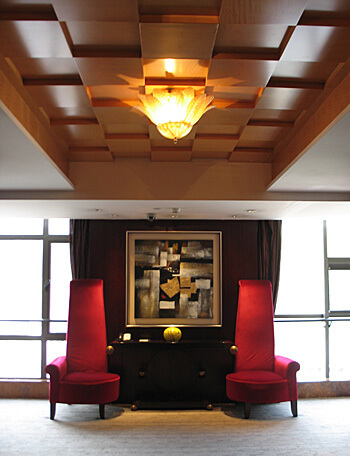 Typical Chinese amenities include table tennis, a mahjong/chess/poker room, and karaoke. My room was a “deluxe twin” with two beds, free high speed WiFi, a 47-inch LCD television, and a large work desk with a leather chair. Management touts the brand-name mattresses on the beds (“Oriental Dream”) and provides a choice of two pillow menus. Next to the coffee maker, there were two free bottles of mineral water. The marble bathroom has a separate shower and bathtub. The amenities, which included a toothbrush and paste, were hotel-labeled. There was a built-in safe and another amenity I haven’t seen before: two boxed face masks to use in case of fire. Because of its historic location, the 267-room hotel thrives on conferences and other large-scale events. 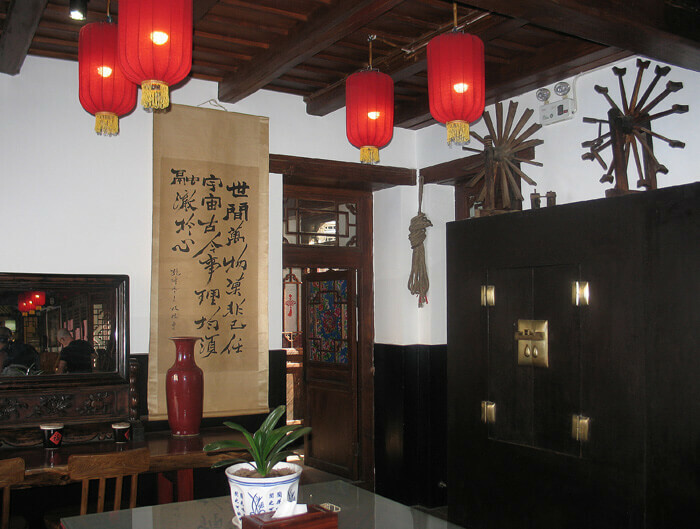 For example the dining area has a Chinese-style banquet hall that can accommodate 400 for dinner. The conference area has a meeting facility capable of holding 1000 people, and a concert hall. There are more than 20 large, medium and small conference rooms, meeting rooms, reception halls, and multi-function halls, which can accommodate multiple conference activities at the same time. The hotel complex is adjacent to Zaoyuan Revolutionary Residence, Yangjialing Revolutionary Residence, Yan’an Revolutionary Memorial Hall, China Yan’an Cadre College, and Yan’an University. 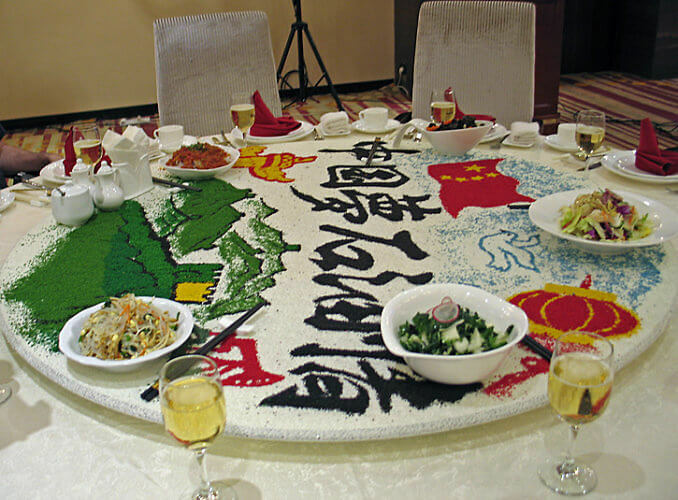 A specialty of the food & beverage staff is the creation of “sand” pictures on the rotating center of the traditional, round Chinese dining tables — this scene greeted our group for lunch. There are several dining choices for non-conference guests, including a continental courtyard-style restaurant, cafeteria, à la carte restaurant, five special “luxury “restaurants and 32 private dining rooms. 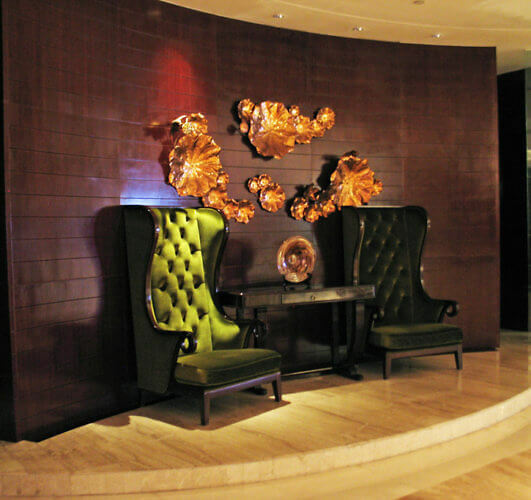 The Lobby Lounge offers a variety of coffee, cocktails, and Hong Kong-style dim sum throughout the day. Even the elevator lobbies are luxuriously appointed. 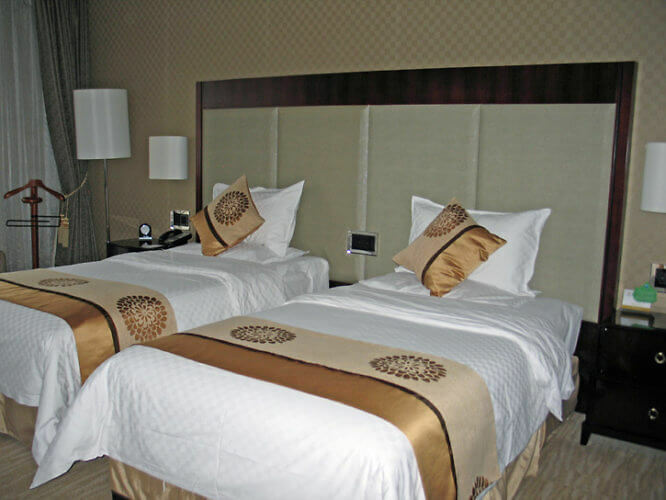 Twin-bedded rooms start at about 500 yuan ($72.30 — quite a bargain for a hotel listed at four stars). You can book on any of several hotel booking sites, such as HotelsCombined.